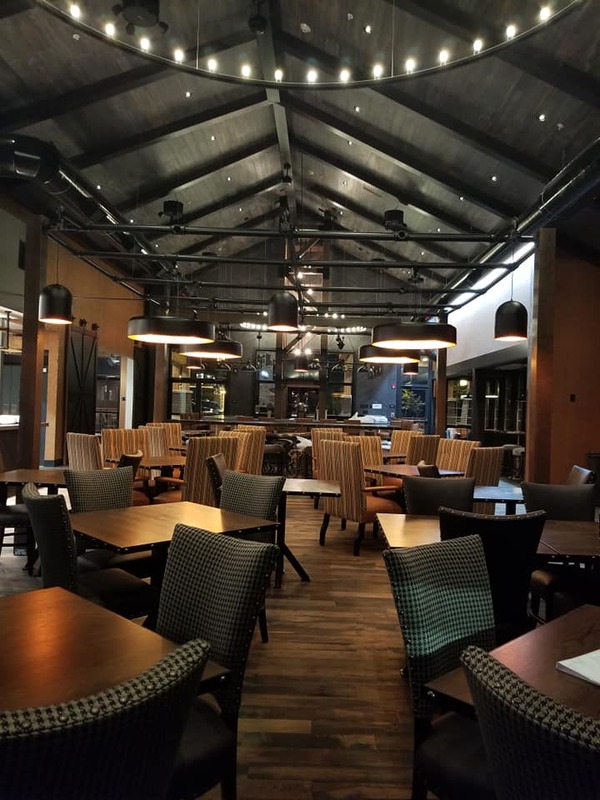 An open kitchen and expansive three-season patio are just two of the features at the new Craftsman Wood Grille & Tap House restaurant in Fayetteville, NY. Following a multi-million-dollar renovation at the Craftsman Inn & Suites, several local media outlets were able to get sneak peeks at the new space before it opened to the public. The focal point of the redesigned interior is the addition of the centerpiece wood fired oven with counter-seating that gives guests a front row seat to the magic of the kitchen. Other notable upgrades include a more spacious dining room layout and an open-feel with vaulted ceilings and plentiful natural light. The new patio is ideal for alfresco dining or relaxing and enjoying the game on one of many televisions. One of only a few heated outdoor spaces in the Fayetteville/Manlius areas, guests have the opportunity to enjoy the space well into the fall. Invitation-only VIP preview events also drew more than 300 guests in the days leading up to the Craftsman Wood Grille & Tap House official opening, and the restaurant has been busy ever since!